Dog Drinking Water Bottle For On The Go..!! One of our favorite things is walking with our dogs. But it can be difficult to find a water source when they're thirsty. 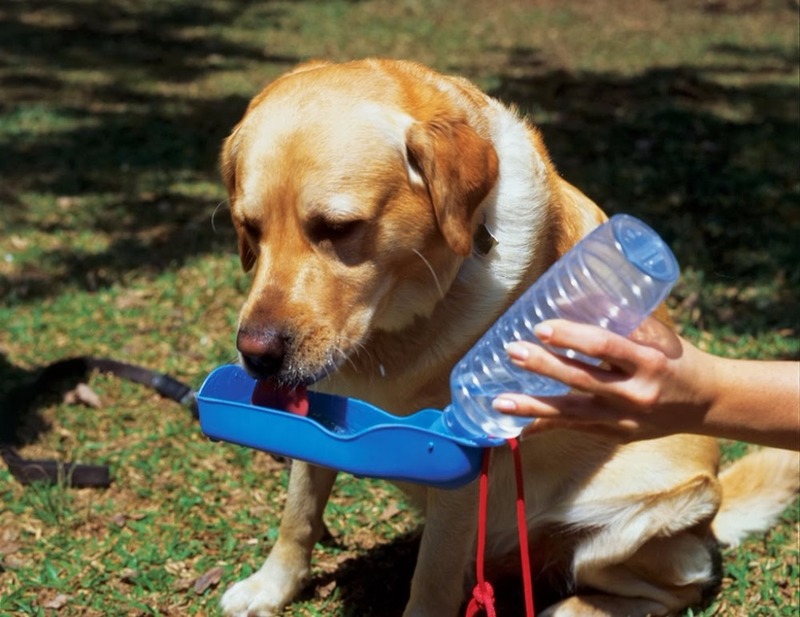 This problem has been soled with this great dog water bottle so you can help to keep them hydrated. A must for any active pet lover for traveling, going to the park, walking, camping etc. The water bottle can hold 250 ml of water. Size: 17.3 x 8 x 7.3 cm. 1. Fill the bottle with water. 2. Rotate the cap on the bottle. 3. Place the water bottle at about a 90-degree angle. 4. Gently press the bottle.